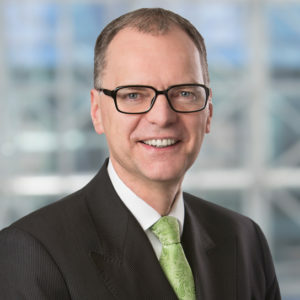 Nicholas is the global Chair of Hogan Lovells LLP, a law firm with around 6,000 people in nearly 50 offices around the world. He is based in London where the firm has around 1,400 people. Nicholas also leads the firm’s international real estate disputes practice and additionally specialises in surplus property and leasehold liability transactions and outsourcing. Nicholas is respected by peers for “knowing the tricks of the market, while clients find his sense of humour adds flavour to his pragmatic and commercial approach” (Chambers). The London team which he leads (which is ranked in the top band by Legal 500 UK 2017) concentrates on all aspects of commercial property litigation, covering all sectors. He has a stand out practice as one of the very few UK lawyers who have vast experience, and a deep understanding, of the rent review market. Nicholas is, amongst other things, ranked by Chambers UK as Eminent Practitioner, a Leading Individual by Legal 500 UK and he is an Acritas Star Lawyer 2017. Nicholas is one of a small number of lawyers globally to have been made an Honorary Member of Royal Institution of Chartered Surveyors. Nicholas is a member of the Council of Heart of the City which is the UK’s largest responsible small business network. They give companies in London the tools to measurably improve society and demonstrate responsibility. Nicholas is a Diversity Champion. His roles include being the Chairman of PRIME, a company established to improve access to the legal profession for young people from disadvantaged backgrounds. He is a Trustee of ISLP-UK which provides pro bono legal services to governments, NGOs and other institutions to promote human rights, sustainable economic development and the rule of law. He is also a member of the Women in Law London (WILL)’s Advisory Panel which is a network aimed at associate-level solicitors in private practice and in-house. He is also a member of the Profit-with-Purpose Working Group for the UK National Advisory Board. Nicholas is a member of the Members & Communications Committee of REAL ESTATE BALANCE, which was formed by a group of senior women, who are passionate about addressing the gender imbalance in the UK real estate sector. Hogan Lovells is an official partner of the British Paralympics Association.